10 things to ALWAYS have in your fridge so you can create fast and easy meals and snacks!! Paired with my Pantry Staples, you'll never fall into the take out trap, or have to run out to the store at 5:30pm ever again! "I don't really like guacamole" said no one ever. It is the perfect appetizer and addition to your meal. Pre-made guac can make any meal or snack feel like party time - and you'll always be ready for when friends and neighbors come over, spontaneous or planned. I pick up my favorite guacamole at my local market, Foragers. Pair with plantain chips, corn chips, fresh cut veggies, or beans for the perfect plant-protein-and-healthy-fats-combo. And since you don't have to take the time to make the guacamole, you'll have plenty of time to make some margs :). Make simple ingredients taste gourmet! Zucchini noodles, a fried egg, roasted veggies - all foods full of nutrients - but they can run the risk of being kinda bland without the perfect sauce and seasoning. Pesto is my favorite way to simply add fresh flavor and a (healthy) gourmet twist to nutrient rich foods. Fiber and phytonutrients FTW! Vegetables are essential for a healthy immune system. Did you know that 65% of your body's immune system lives in your gut? Eating vegetables improves and maintains gut health. If that wasn't enough - at least 95% of your body's serotonin (the feel-good hormone) is made in your gut. So the more servings of veggies you can have in a day, the better your mood will be! Keep veggies prepped and ready to be eaten raw with hummus or guac, or sautéed or roasted and topped with pesto. Just remove leaves from the stem and rip into bitesized pieces. Massage the leaves with a generous drizzle of EVOO, the juice of half a lime, and 1 tbsp of maple syrup - and keep in a covered bowl. This makes taking lunch to work fast and easy - just add any hearty protein and other veggies of your choice! (This also works for a quick WFH lunch when you are on a roll but are getting hangry). My favorite way to dress up this simple salad amazing is like this. Perfect for snacking! Fruit is FULL of vitamins, nutrients, and fiber that is essential for energy and digestion. Pineapple, mini-watermelon, papaya, and cantaloupe are all perfectly suited to be cut up and eaten over multiple days. Go ahead and cut up the whole fruit - an extra large portion size that you can split up into more reasonable servings. This is ideal for beginning of the week food prep that saves you time later on. Berries, grapes, and figs are also amazing, and do not require any prep! Creamy and rich in protein, it is perfect to add to smoothies and grains, like on top of my Superfood Granola. You could make your own, but my favorite brand is Califa Farms! It tastes delicious, and the packaging is beautiful. The longest living people in cultures around the world all eat eggs as a part of their weekly meals. Adding eggs to your meals 3-4 times a week is the perfect way to add omega-3s and protein. Eat the yolk! It contains choline - which is essential for a healthy brain, heart, and cells. Topped with berries, baked into bread, and as a base for smoothies. Fermented foods are essential for healing your gut and promoting a healthy immune system! Make sure you get the full fat or 2% variety, because adding healthy fats into your diet is optimal for brain health, and prevents you from eating extra sugar or chemicals unintentionally (often times when fat is taken out of a product, it is replaced by something much less desirable...). Just a little goes a long way :). Cheese made from the milk of grass-fed sheep and goats is easier to digest than cheese made from cows milk, and is full of healthy omega-3's for brain health and improved mood. 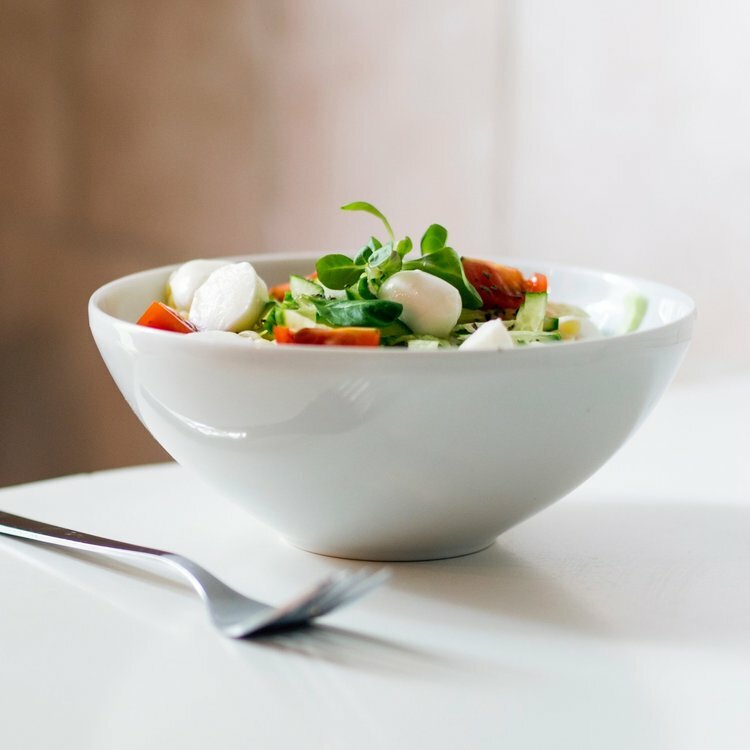 Pecorino Romano and Feta cheese are perfect way to add a delicious salty bite and round out your meals. Top zucchini noodles, add to a dark leafy green salad, or enjoy in a hearty soup. Learn how to turn simple ingredients into fast, amazing, meals that are easy in my FAME Recipe Building Course. You'll gain 30 new recipes that you can always count on - so you'll never be stumped at dinner time ever again!